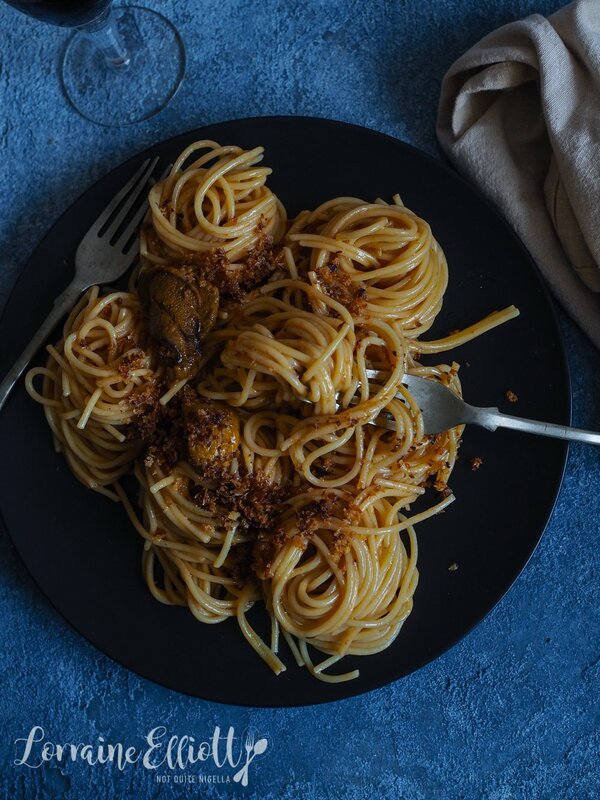 This sea urchin roe pasta is simplicity itself. 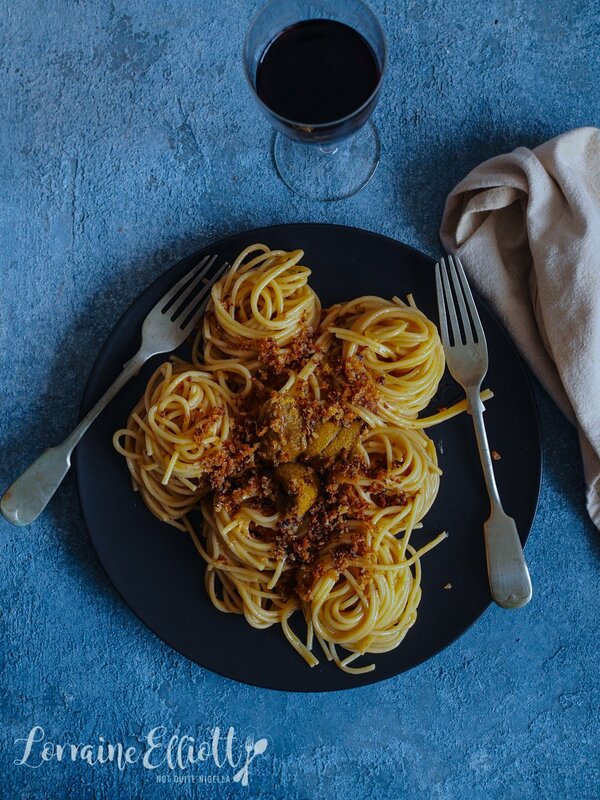 Spaghetti is slicked and glossy with buttery sea urchin sauce and then topped with a crunchy pangrattato and more sea urchin roe! This is a dish that you may see at restaurants but is so easy to replicate at home I wonder if I'd ever order it again. It is also made in less than 15 minutes! 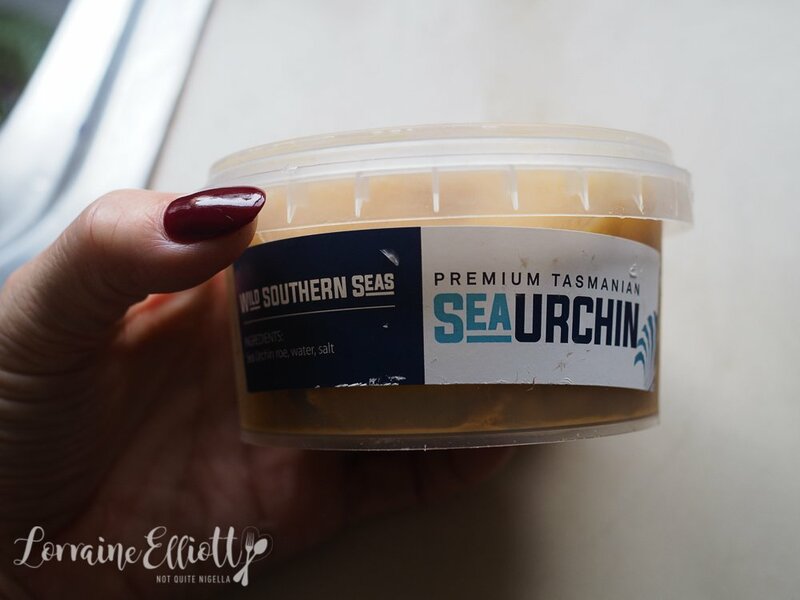 If you love sea urchin, please make this! I have found raw sea urchin roe can be a polarising item. You either tend to love or hate it. I love it and it has a wonderfully creamy jellied texture like panna cotta with a the flavour of the sea. It has been described as having an intimate kiss with the ocean. But sea urchin roe is also high in omega three, low in calories and is an aphrodisiac. And apparently sea urchins or uni (pronounced "oonee" in Japanese) are also taking over the Great Barrier Reef so much that scientists are urging people to eat it. 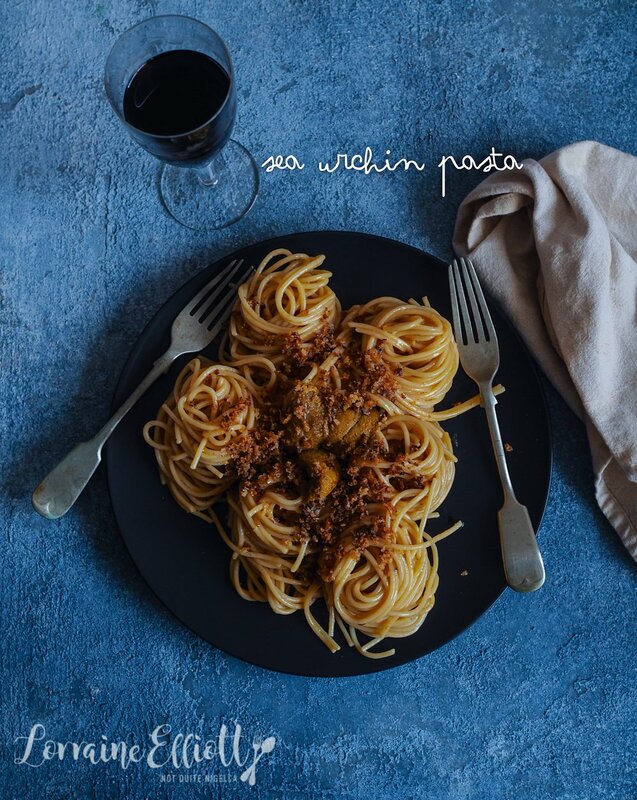 This recipe is from a friend of mine JY. It's so simple I wondered if it would actually work. But it does. 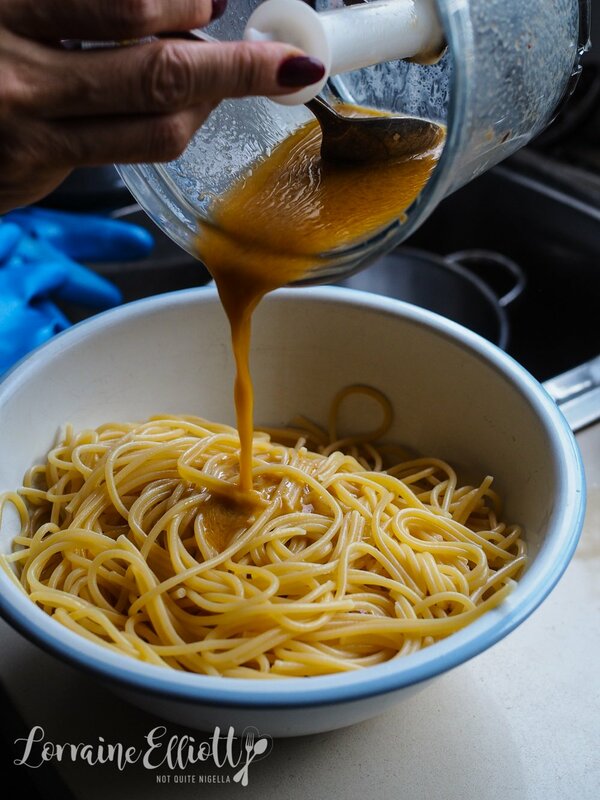 And even if you don't like sea urchin raw, this sauce transforms it beautifully into something else entirely. It's not overly fishy and the butter tempers the sea flavour. I can't even explain how it happens, you've just got to try it. Speaking of explaining, the other day Mr NQN and I were in the park with our beloved late Miss Mochi Moo (RIP my little one). We passed by an enormous tree, whose roots spanned out metres from it's thick trunk. I pointed out the huge roots to Mr NQN as we almost tripped over them. "You know why they have roots?" he said but before I could answer, "It's so they can get water from the ground easily." I looked at him as if he were an alien. "Yes I know cos you know I've lived and I wasn't just born," I said to him drily. Cos while I don't remember calculus or trigonometry, I remember science basics because I'm alive. So tell me Dear Reader, do you like sea urchin? And did you know that about trees? ;) Do you find people explaining basics to you often? Step 1 - Boil the spaghetti in plenty of salted boiling water. Meanwhile, blend the 8 sea urchin roes and then add the melted butter and blend again to form a sauce. Step 2 - In a small saucepan heat the remaining 50g of butter. Add the panko breadcrumbs to this and then cook until the breadcrumbs are browned and smell nutty. Put aside. 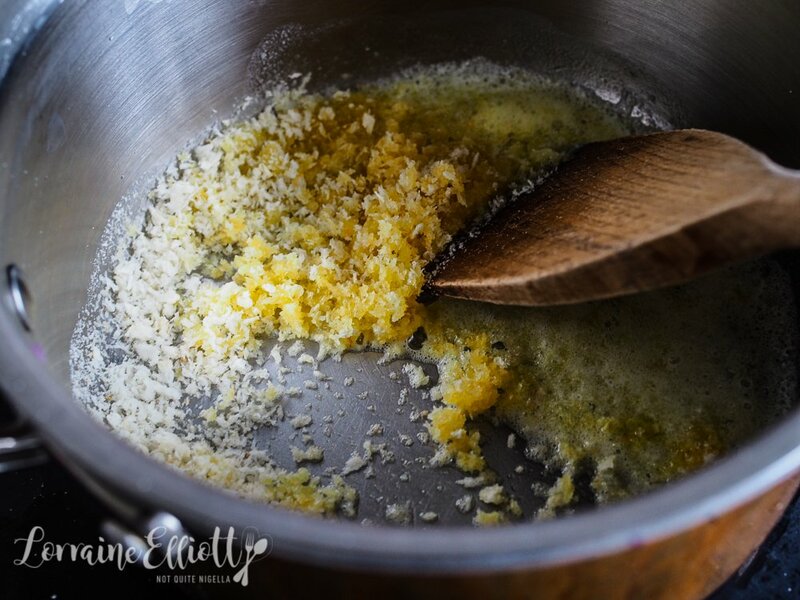 Step 3 - When the pasta is cooked, drain and then toss in the sea urchin butter (pulse it again in the food processor just before doing this to make sure that it is emulsified). Place on serving plates and add two sea urchin on top of each plate and then do with the buttered crumbs. recipeTwo In One Meal: Nachos Mac 'N Cheese!